De La Vali says its designs are "impossible to ignore" and prove it with this 'Limon' mini dress. 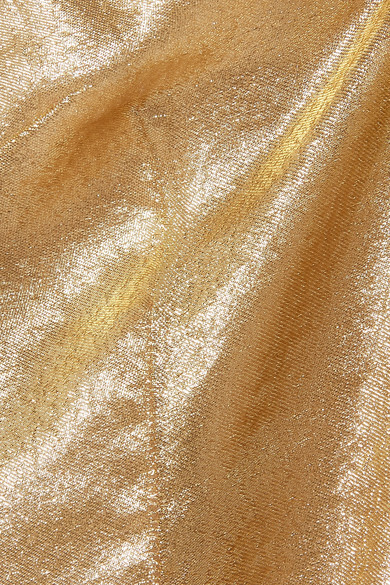 Part of the Spring '19 collection, it's made from gold Lurex spun with silk and cut for a close fit. Our stylists like it with bare legs and '90s-style mules.